A time for joy, family and celebration, the Christmas season can quickly turn from jolly to jarring without a proper game plan. Rest assured the Crescent City has your clients covered with a holiday month full of great food, unique traditions and jubilant festivities for all to enjoy. Encourage your clients to celebrate this Christmas New Orleans style and let the spirit of the city light the hearts of travelers near and far. The excitement begins on Dec. 3 with an annual Christmas bonfire your clients will not want to miss. Hosted at the historic Oak Alley Plantation, the mansion and grounds alone is a site to see. Guests will be able to dine like royalty in the formal dining room and veranda decorated with antiqued Christmas accents, parade to the levee where the ceremonious lighting of the bonfire will occur in front the immaculate Mississippi River, and dance the night away back at the mansion. If your client arrives later in December, the Bonfire Adventure Tour also provides a bonfire on the levee with an optional tour of the San Francisco Plantation. Celebration in the Oaks is another holiday favorite in the city. Hop on Santa’s Bus for a tour down Esplanade Avenue through City Park. The park is transformed into a winter wonderland during the month of December with illuminated exhibits and towering ancient oak trees covered in stringed lights and ornaments. With a variety of food, live music and amusement rides, your clients will likely spend the whole evening under the oaks. Christmas festivities can also be found at NOLA Christmasfest, starting Dec. 15 at the New Orleans Morial Convention Center. Features include two miles of lights, various carnival rides and even an ice skating rink. Along the way, your client may work up an appetite for an extravagant Christmas feast. Luckily, New Orleans never falls short of exceptional in the restaurant department. Throughout December, dozens of New Orleans’ most accredited restaurants will be participating in a long-lasting creole tradition called Reveillon. Dating back to the early 19th century, Reveillon Dinner, French for “awakening,” represented a meal most creole families would look forward to after returning home from midnight mass. These days, the tradition has been modified and many local restaurants offer creole inspired four-course holiday meals for locals and visitors to enjoy. If the city’s holiday cheer isn’t enough, travel professionals can enjoy special FAM Rates during the month of December, providing generous discounts on rooms, restaurants and attractions. Also, during the month of November, travel agents can enter to win a weekly hotel giveaway for a stay in New Orleans in December. Take advantage of these exclusive offers and request your New Orleans VIP Pass or enter to win the Christmas FAM Sweeps to make the most of your holiday getaway. 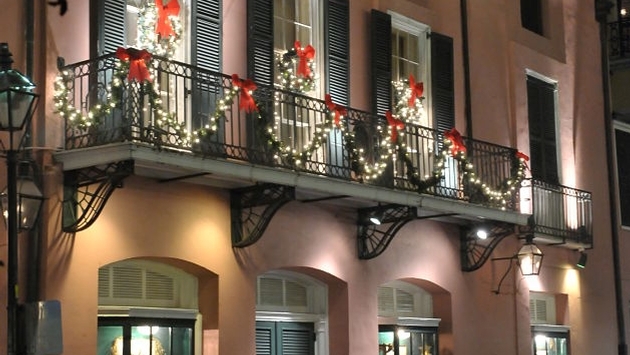 Forget about fishing around in the attic for tangled lights and red bows; tell you clients to celebrate Christmas New Orleans style this year. The Big Easy is gearing up for a holiday season like no other and is prepared to guarantee bright lights, full tummies and holiday cheer that even the Grinch could not deny. Thu has 14 years of experience working in the tourism industry. A native of New Orleans, Thu enjoys listening to live music, exploring New Orleans food scene, and traveling with her family.